The Cameroonian entertainment industry has been buzzing of late notably with the explosion of many young talents into the African mainstream entertainment.Be it from music, movies, fashionor dance, it has been a movement to reckon with as most of the acts involved here have won international awards and/or recognition for the industry. Cameroonians in the diaspora haven’t been left out of this cultural revolution as most of them are forefront soldiers of this. 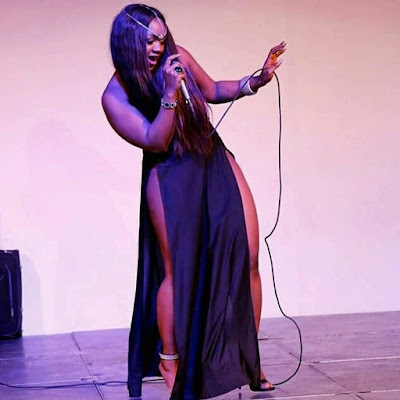 A perfect example is that of Cameroonian international Norway-based female MC and event host Charlene Egbe popularly known as MC Charlene or Charlene. In 2018 alone, she toured 30 cities with a total of 14 countries in 5 continents ( Europe, Asia, North America and Africa) hosting major African music superstars in countries such as Belgium, Sweden, Italy, Turkey, Austria, Thailand, USA, UK, etc. Some of these artists include the likes of FallyIpupa at the King of Congolese Music Showcase for the first time in Oslo, Nigerian YBNL music icons Olamide and Viktoh in Vienna, Nigerian duo Bracket in Bergen, Kukere master Iyanya in Oslo, Dashiki ft Tanzanian pop star Diamond Platnumz in Stockham, Selebobo in Malmo city, Banks music's boss Reekado Banks in Torino city,cameroon’s makossa legend SamyDiko'sEleganz Glamour Night in Essen, WizboyOfuasia's Magic Europe tour, Nigerian highlife artist Flavour,StanleyEnow, Mr Leo, Magasco and a host of others in WachingtonDC, she was also booked to host Sidiki Diabatéand Lockoat the Royal Regency in London, just to name these few. To mark a successful culmination of activities for the year 2018, she decided to undertake a two-week media tour in Cameroon to share experiences and better establish her brand in her birth country. The media tour also exposed to Cameroonians the entrepreneurial side of MC Charlene which consists of a tutor and owner of an AfroZumba dance class, owner of a sports brand known as Sweat Like This, and CEO of C Enterprise. During her tour of the media, she disclosed to local Media her plans for the year 2019. Top on her agenda is the imposition of her art and talent on the African continent. To her, unlike the rest of the world, Africa is still imbued with untapped potentials that she aims at exploiting. She added that her plans to take over Africa begins on Saturday February 23 when she will be hosting the Club Quilox, the biggest club at the heart of Lagos, Nigeria. According to her, conquering the Nigerian entertainment industry is primordial owing to the fact that it is today the turning point of African showbiz.